When traveling to Cuba, there are basically two types of accommodations to choose from: Hotels or Casa Particulares. 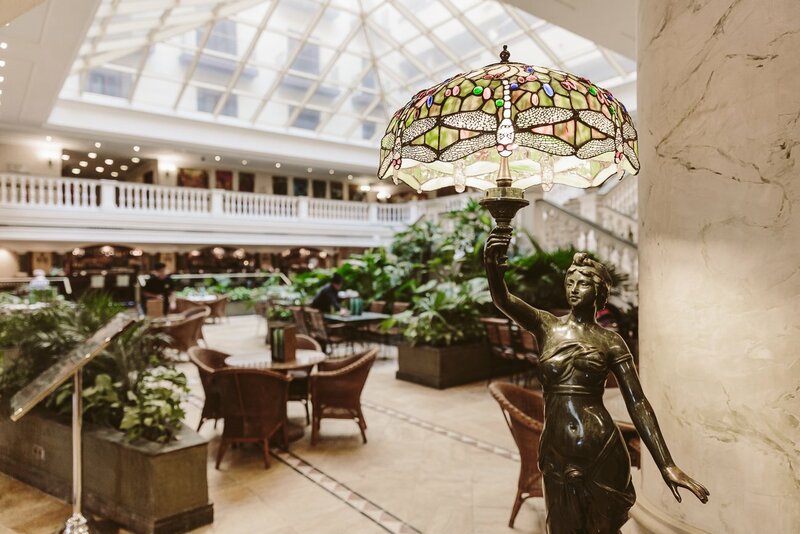 While Casa Particulares are run by private owners and are mostly rooms to rent and homestays, there’s also a wide array of hotels that are mostly run by international chains. 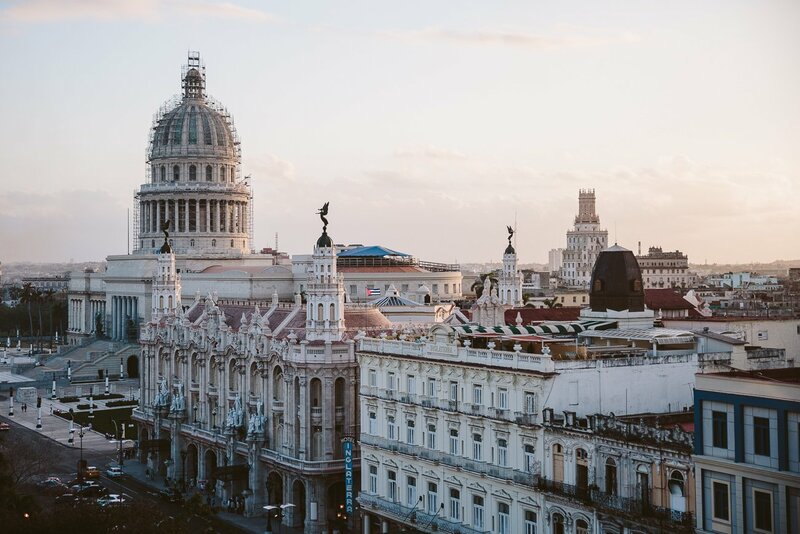 We partnered up with Spanish hotel group Iberostar on our trip to Cuba, because they have 4 and 5 star hotels all over the island. This way we booked the whole trip with them at once and could leave our bags in Havana and only travel with light bags around the island. We got to stay in their hotels in Havana, Varadero and Trinidad. Here’s our report about our stay in Havana at the Iberostar Parque Central hotel. First off you have to understand, that the island’s accommodations aren’t up to the standards we might be used to from other countries. A 5 star hotel in Cuba isn’t necessarily concerned 5 stars in European countries. Having said that, we have to note that the Iberostar Parque Central is quite up to the standards we are used to! We read that other hotels have troubles with supply of fresh vegetables, clean laundry and of course the internet. None of these were an issue at the Parque Central – actually quite the opposite. After a challenging time in Tulum, where we didn’t have great wifi, the internet worked like a charm in Havana. Once you figure out how to access the internet with the scratch cards, you’ll be fine. 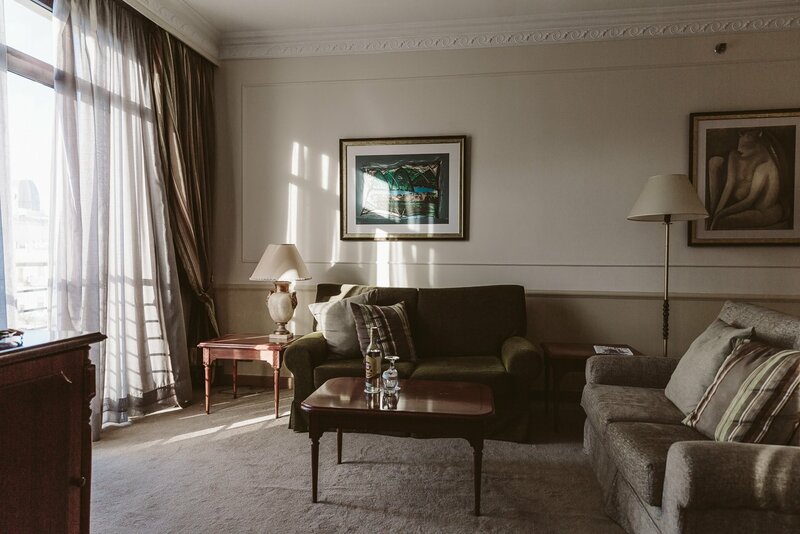 We got to stay in the 5th floor in a spacious Suite with views over the capitol and the park. 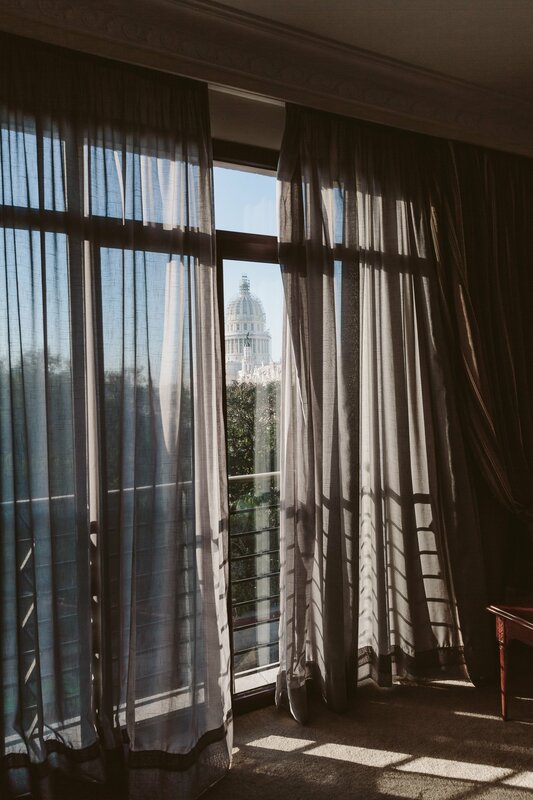 If you book a room make sure to ask for one with views of the Parque Central and the capitol and on one of the highest floors! This way you can see the capitol, but still peak down on the street in front of the hotel where all the vintage cars park during the day. 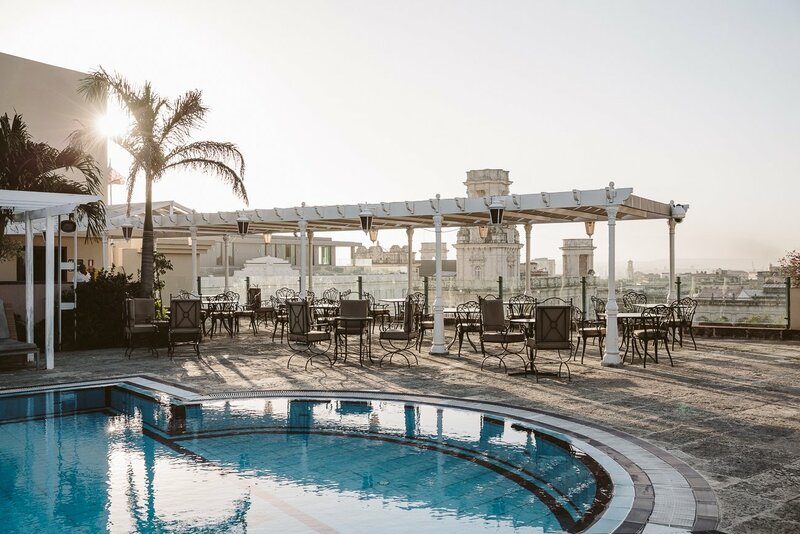 When it comes to the perfect traveller type for the Iberostar Parque Central we would call it the sophisticated no-risk-taker. 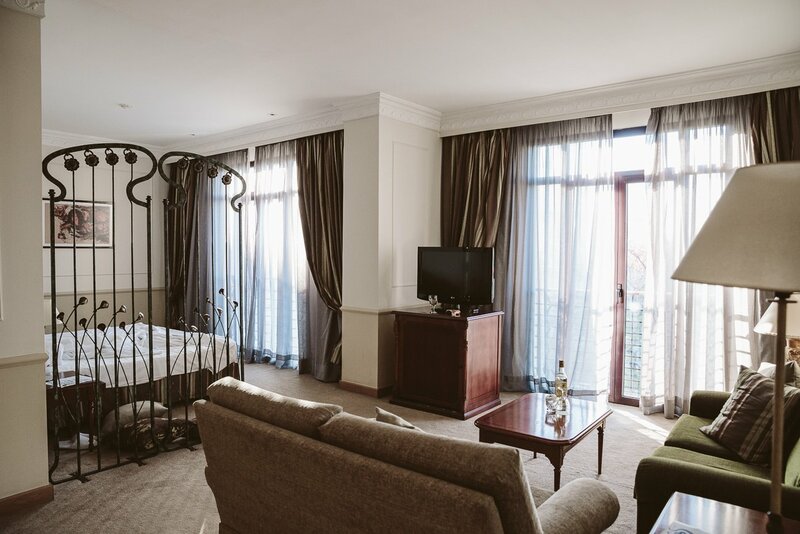 You know what you’ll get here: The service is reliable and fast, the rooms are clean and spacious, the wifi works like a charm, the breakfast buffet is sweeping with everything one could ask for. Location is key with this hotel. It’s located directly across the park from the capitol and the wonderful “Gran Teatro de Alicia Alonso”, that is lit up at night beautifully. 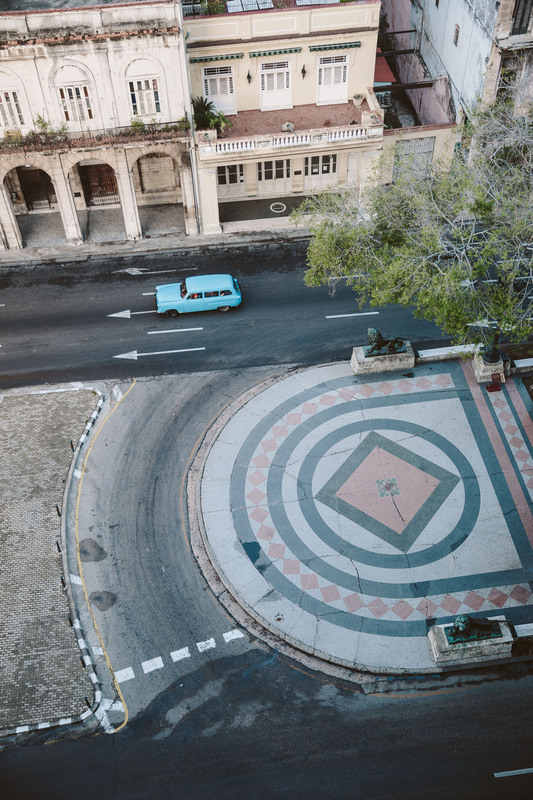 From here it’s only a few steps to the old town of Havana, called “Habana Vieja”. But it’s also the starting point of the vintage car rides through the whole city. 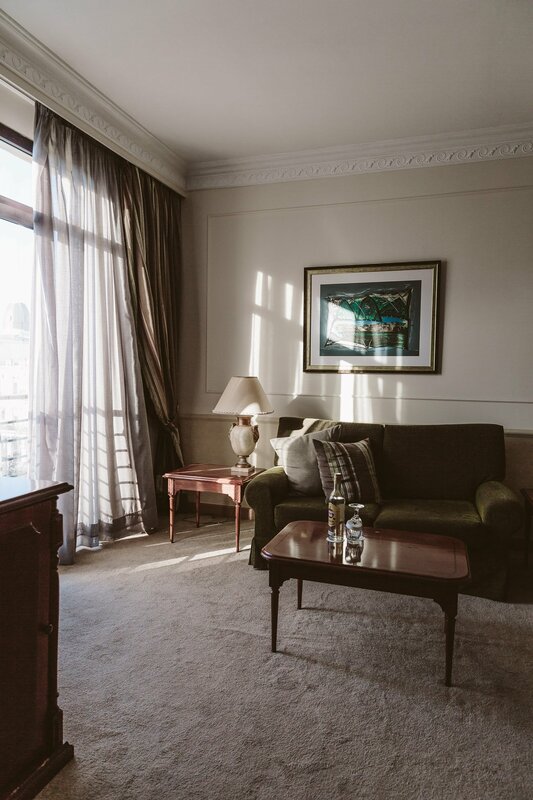 The hotel actually consists of two buildings – we recommend booking a room in the Colonial building, which is the old building with the better views! + The location is pretty amazing. We loved being so close to the old town! + The rooftop pool is a spectacular feature. 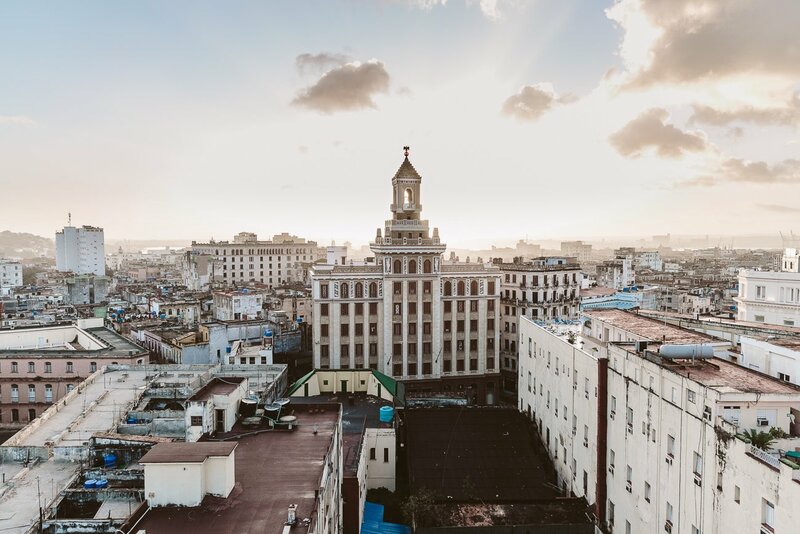 You can overlook Centro Habana in one direction (and even get a peak of the ocean) and the city centre in the other direction. + The service level is up to the standards we are used to. + The rooms are spacious and clean. + The air condition works like a charm and isn’t too loud. + The wifi was free and even worked up in our room, although they warned us that it would only work in the lobby. + You can change your money at the hotel, which is quite convenient (the lines at the airport are crazy long)! – The room design could be updated, it seems a bit dated. – While the breakfast is huge and includes everything you might need, the quality of the food wasn’t always great. But that’s the case for all of Cuba. Just one example: When pineapple isn’t in season you won’t get a decent pineapple juice here, because they don’t import pineapples. Same goes for oranges, etc. – so that’s not the hotel’s fault. – The credit card machine didn’t work, when we checked out. This way we had to pay in cash. Cash is king in Cuba! 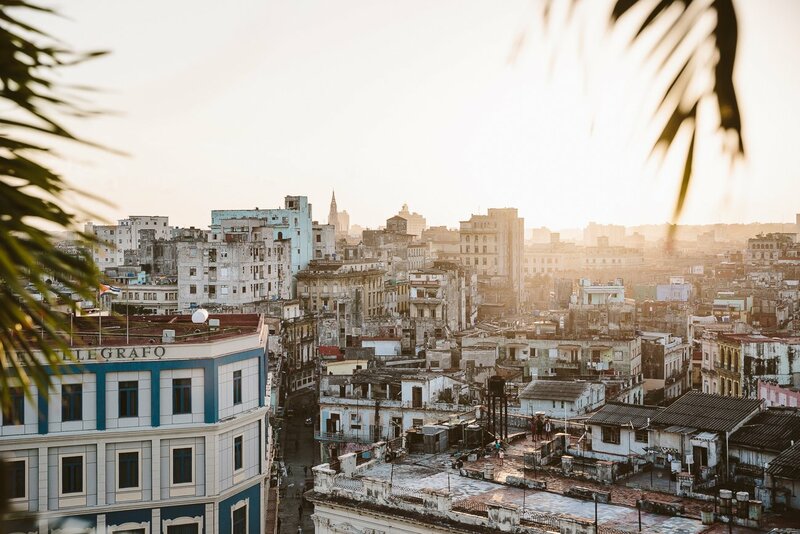 This is the view from the rooftop towards Centro Habana at sunset. 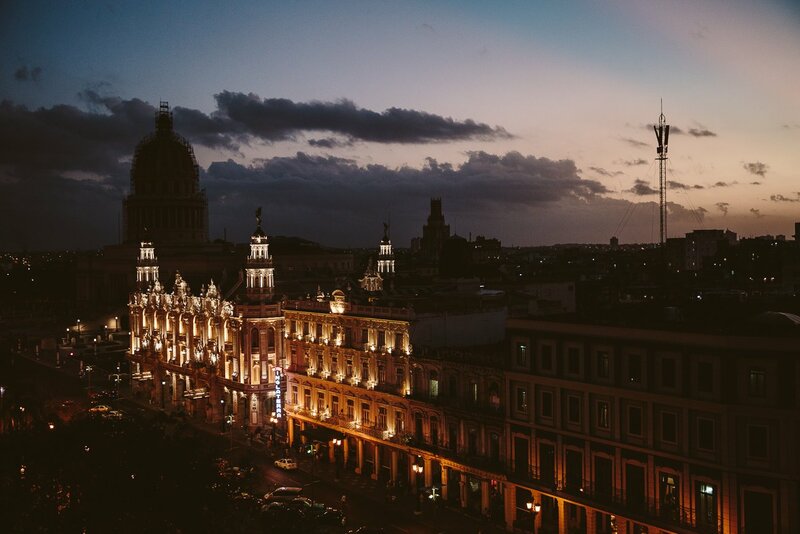 The view of the capitol and the Gran Teatro at night. 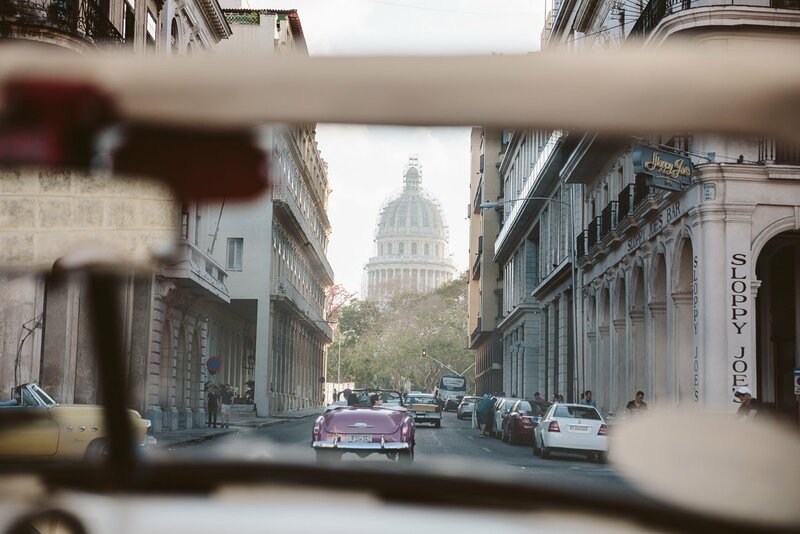 Make sure to also read our blogpost about everything you can experience and do while visiting Havana! ?‍? Find out more and book your stay here: Iberostar Parque Central hotel. Disclaimer: We were invited to stay at Iberostar Parque Central, but our views of the hotel stay independent from that invitation. it´s pretty normal not to demand pineapple juice if there isn´t pineapple season, right?! This was just an example to underline how food availability isn’t the best in Cuba – but maybe not the best example, you’re right.